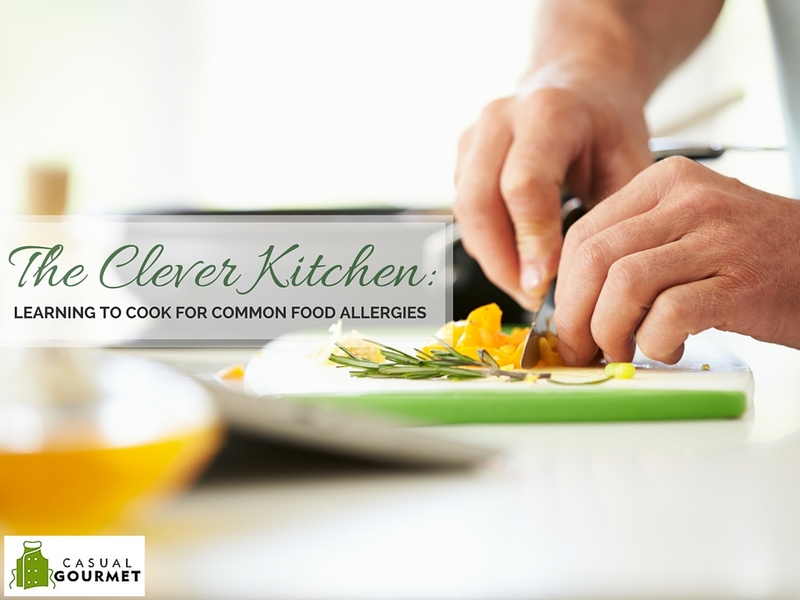 If you have ever cooked a meal for friends or family with food allergies, chances are that you found it to be challenging. Trying to accommodate several people’s various food allergies can make planning a dinner menu downright frustrating. But because food allergies are quite serious and can even prove fatal, it is important to take the utmost care to avoid exposing someone with allergies to foods with those ingredients. 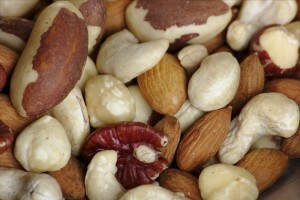 Nuts are a common and often fatal allergy. Sometimes children who are allergic to certain foods wind up growing out of their allergic tendencies by the time they reach adulthood. Alternatively, people who have eaten certain foods all of their lives can develop an allergy seemingly out of the blue. Finding the middle ground by creating a meal that can be enjoyed by all can seem like a real conundrum. But it can be done, and done well. It’s easy to confuse life-threatening food allergies from intolerance to some ingredients or food items. But the distinction is important, as while a food intolerance can cause a person some gastrointestinal distress, the symptoms are far less severe and do not put their lives at risk if they accidentally consume the ingredients or foods. Additionally, many people who are intolerant to certain foods can tolerate modified versions. This is particularly common with those who are lactose intolerant, meaning that their bodies can’t properly digest the sugar that is a key ingredient in all dairy products. It’s important to know the difference between allergies and intolerance. Those with this condition produce an insufficient amount of lactase in their small intestines to be able to break down the lactose in milk and other dairy items. However, taking supplemental lactase enzyme pills can assist with digestion and allow them to enjoy most dairy products. 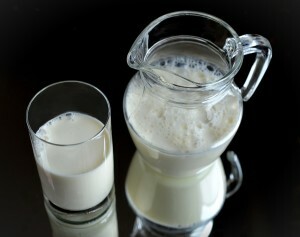 It is also possible to prepare foods with milk as an ingredient by substituting lactose-free milk. Celiac disease is a chronic digestive condition that produces gastrointestinal symptoms when its sufferers consume gluten, the protein present in grains like wheat. Gluten-free diets have become trendy in some circles, but not all who avoid gluten have actual celiac disease. However, when preparing foods others will be eating, it’s always best to err on the side of caution. 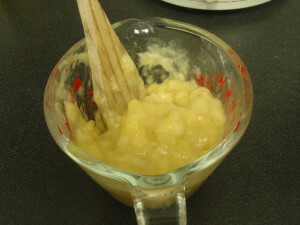 Mashed bananas are a great substitute binding. If you are substituting other grains for a wheat allergy (which is not the same as gluten-free), you can substitute rice flour — brown, white and sweet. All have different flavors and consistencies, and while interchangeable, can also be specifically tailored to the recipe you are creating. For example, recipes made with brown rice flour will have a richer, nuttier flavor. The consistencies of the menu items can be different from the traditional recipe; some may be lighter while others may have a grittiness to them not found in the original recipe. Cooking times and temperatures often have to be tweaked accordingly to get baked goods to rise sufficiently. Cooking is a balance of both an art and a science. While it is true that some people seem to have a natural affinity for turning out delicious creations that melt in your mouth, cooking is definitely a skill that can be learned by those who are dedicated to the art. Once you have mastered the basic concepts, it is easy to learn how to substitute key ingredients in all kinds of menu items to replace those that cause problems for people with food allergies. 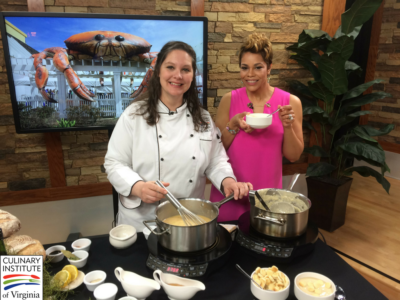 If you would like to brush up on your cooking skills, take some learn to cook at Casual Gourmet. 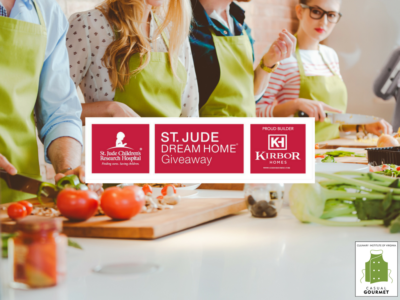 Whether it’s to launch a new career or simply to wow your family and friends, your cooking game will be on fire! Book soon – the next course for Safe Cooking for Allergies is scheduled for January 12th, 2016! DISCLAIMER – Casual Gourmet makes no claim, warranty or guarantee as to actual outcomes for past or current attendees. 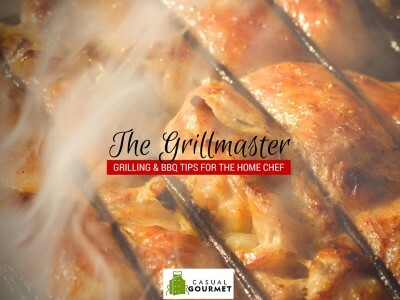 The Casual Gourmet website is published for informational purposes only. Every effort is made to ensure the accuracy of information contained on the CasualGourmet.com domain; however, no warranty of accuracy is made. No contractual rights, either expressed or implied, are created by its content.